Leading Indian International school in UAE: GEMS Schools UAE hiring teachers and other professionals for UAE 2019. Its a direct and free recruitment by the school. Latest Job vacancies at Gems School Dubai 2019. 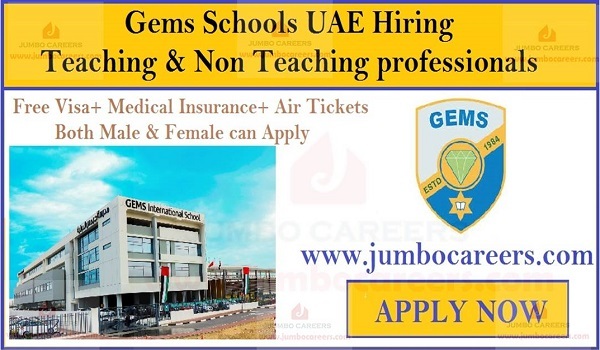 How to apply for Gems School Dubai Abu Dhabi jobs and Careers 2019?